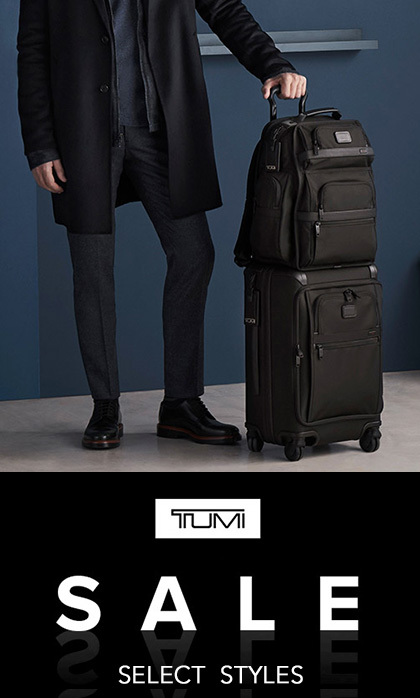 Click above Tumi image to contact us. 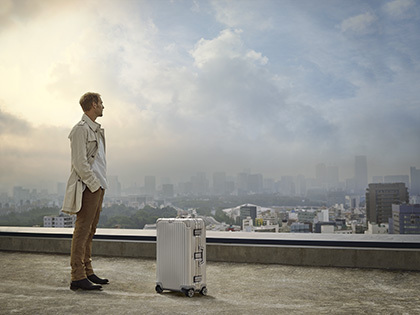 Click above Rimowa image to contact us. San Rafael Luggage Center carries fine luggage, business cases and travel accessories designed to meet the most demanding requirements of the serious traveler. Our store carries a wide selection of top quality brands; some are available only at higher quality specialty stores like ours. Whether you’re a hardened road-warrior or a serious day-tripper, our travel-wise staff has the knowledge and expertise to help match our products to each customer’s specific needs. The brands featured at the left will give you a feeling for the quality and wide variety of travel items we carry. Better yet, drop by our outlet and see for yourself. Our store is conveniently located in the downtown San Rafael. Every experienced traveler knows it: Even the finest luggage or business cases eventually become road-weary. Even if you didn’t buy your luggage from us, we can provide off-site repairs to add years more service. We will gladly try to find an authorized repair shop and take care of the paper work. We do charge shipping based on the size of luggage. If your luggage is still under warranty, you won't pay anything on repairs. If the repair shop decides that your luggage is not under warranty, you will get the call directly from the repair shop for your approval for any repair costs. If you decide not to repair at that point, you will get your old and tired luggage back. Please note that shipping is always not-refundable. However, in some cases, it is possible for us to inform you right away if your luggage is worth shipping for repairs. This way you can avoid the shipping cost also. -- Up to 15% Off on Nice & Upsalla closeout styles only - while supplies last. Instantly save $50 on any $350 Briggs & Riley qualifying purchase. Instantly save $100 on any $700 Briggs & Riley qualifying purchase. Instantly save $150 on any $1,050 Briggs & Riley qualifying purchase. And so on… the savings are endless! Purchase one of Hartmann's core collections and receive $100 off any wheeled purchase and $50 off any non-wheeled purchase from the Wings Diamond Jacquard and Wings Stripe Collections. Purchase the Intensity Collection at an additional savings of 25% off Suggested Retail. Purchase the Metropolitan Collection at an additional savings of 25% off Suggested Retail. Take additional 25% off on already closeout price of Valoroso luggage. Limited quantities left. Sorry, Bravo style sold out. 60% Off MSRP on discontinued styles - while supplies last. Take 60% Off MSRP on soft sided Silhouette Sphere and Lift II collections.